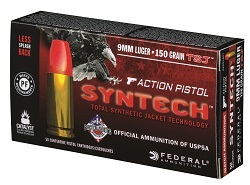 ANOKA, Minnesota - May 10, 2018 - Federal Ammunition is pleased to introduce all-new Syntech Action Pistol, the official ammunition of the USPSA. Shooters who compete at the highest levels need ammunition built for the demands of their discipline. Syntech Action Pistol is specifically designed for the action shooting sports and loaded to power factor requirements with heavy, flatter-nosed bullets for more reliable knock-downs on steel targets in competition. Shipments are being delivered to dealers. 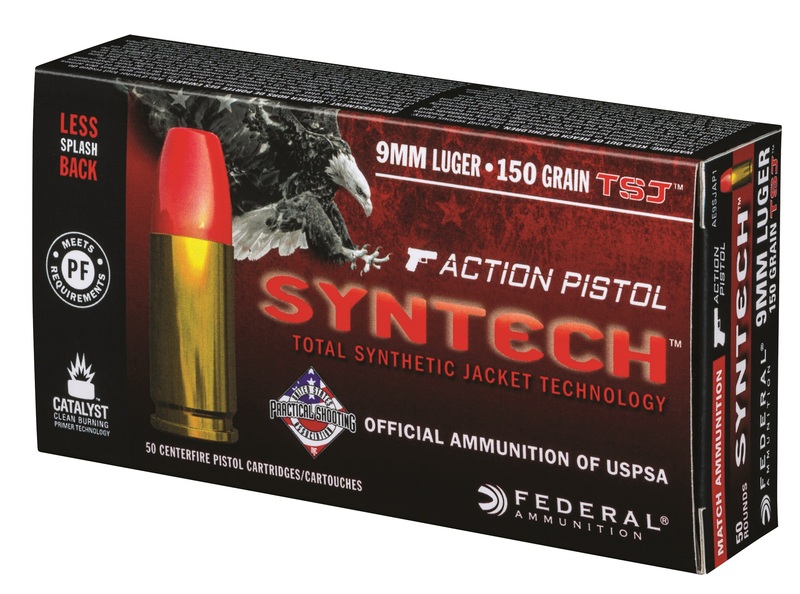 Like all Syntech loads, Action Pistol features the exclusive Total Synthetic Jacket (TSJ), which prevents metal-on-metal contact between the bullet and barrel, eliminating copper and lead fouling as well as reducing damaging heat and friction. Combined with clean-burning powders and the Catalyst lead-free primer, Syntech Action Pistol provides the softest-shooting and most reliable performance possible for high-volume competitive shooters.